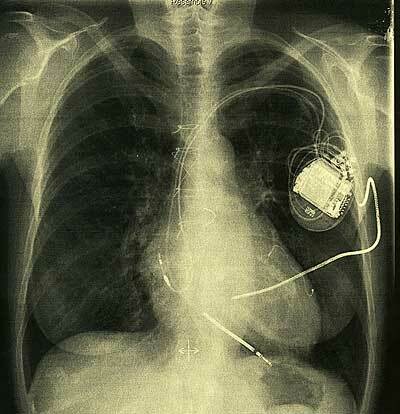 Patients with implanted cardiac pacemakers or defibrillators (ICDs) are till now not recommended to undergo Magnetic Resonance Imaging procedures. Because of this rule very often one of the best methods for cardiac diagnostics is not available. In this research project we examine potential hazards caused by magnetostatic forces causing device relocation, unintended mode-switching of the implants and tissue heating caused by currents induced in the device-lead system by switched gradients respectively RF fields. Those questions shall be answered by phantom studies, animal experiments, accompanying numerical field calculations and finally clinical trials. Based on the results we intend to propose guidelines for setups for safe examinations of patients despite their implants.